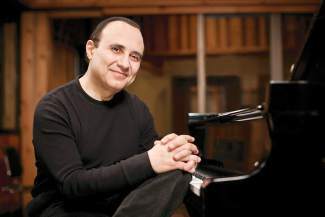 Multi-Grammy winner Michel Camilo, with Cliff Almond and Lincoln Goines, performs today at the final Vail Jazz Club Series of the summer at Mountain Plaza Lounge near Gondola One in Vail Village. Doors open at 8 p.m., and music starts at 9 p.m. The trio then takes the big stage for Vail Jazz @ Vail Square from 6 to 8 p.m. Thursday at the all-weather jazz tent in Lionshead. For tickets or more information, visit vailjazz.org or call 888-VAIL-JAM.